Give your love the gift of music for Valentine’s Day! Our singers will deliver a song directly to your special someone anywhere and any time during the day of February 14, and it’s only $50! 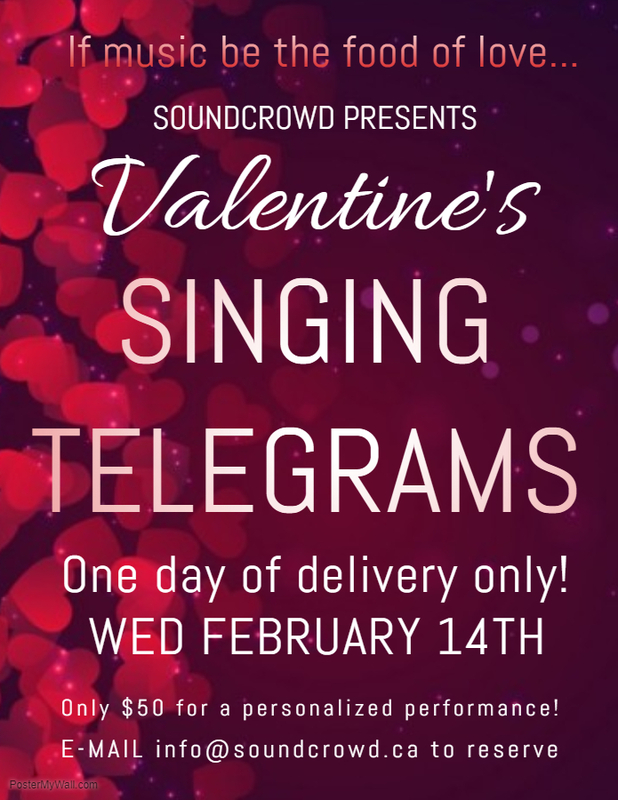 E-mail info@soundcrowd.ca to arrange your Singing Telegram today!